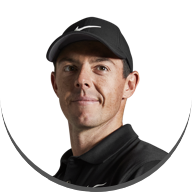 Thank you for visiting the Terms and Conditions (the "Terms") page of Taylor Made Canada ("TaylorMade"). Your access and use of any of our websites at taylormadegolf.ca and all other TaylorMade websites (the "TaylorMade Websites") is subject to the following terms and applicable laws. 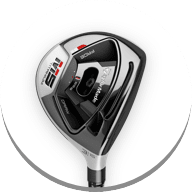 The TaylorMade Websites are owned and operated by TaylorMade and/or its affiliates, and are protected by copyright law and other Canadian and international laws and treaties. All rights reserved. 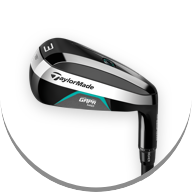 Copyright in the content and the software provided are owned by or licensed to TaylorMade. You agree not to: (i) use the TaylorMade Websites for any illegal purpose, in violation of any applicable laws or regulations including but not limited to, regulations promulgated by the Canadian Securities Administrators, the Securities Exchange Commission, any rules of any national or other securities exchange, including without limitation, the Toronto Stock Exchange, the New York Stock Exchange, the American Stock Exchange or the NASDAQ, and any regulations having the force of law; (ii) publish web pages that contain links that initiate downloads of infringing or other illegal material; (iii) electronically stalk or otherwise electronically harass another; (iv) engage in any Internet activities that would violate the personal privacy rights of others, including but not limited to, collecting and distributing information about Internet users without their permission, except as permitted by applicable law; or (v) conduct Internet raffles or contests that violate applicable laws. BY USING THE TAYLORMADE WEBSITES, YOU EXPRESSLY AGREE THAT USE OF THE TAYLORMADE WEBSITES IS AT YOUR SOLE RISK. THE TAYLORMADE WEBSITES ARE PROVIDED ON AN "AS IS" AND "AS AVAILABLE" BASIS. 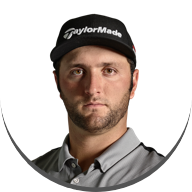 TAYLORMADE DOES NOT WARRANT THAT USE OF THE TAYLORMADE WEBSITES WILL BE UNINTERRUPTED OR ERROR-FREE. TAYLORMADE RESERVES THE RIGHT TO CANCEL ANY ORDER FOR TAYLORMADE PRODUCTS PLACED ON THE TAYLORMADE WEBSITE AS A RESULT OF A MISTAKE OR ERROR, AS DETERMINED BY TAYLORMADE IN ITS SOLE DISCRETION. 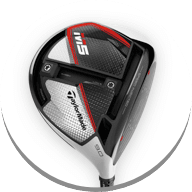 TAYLORMADE DOES NOT WARRANT THE ACCURACY, INTEGRITY OR COMPLETENESS OF THE CONTENT PROVIDED ON THE TAYLORMADE WEBSITES OR THE PRODUCTS OR SERVICES OFFERED FOR SALE ON THE TAYLORMADE WEBSITES. TAYLORMADE SPECIFICALLY DISCLAIMS ALL WARRANTIES AND CONDITIONS, WHETHER EXPRESSED OR IMPLIED, INCLUDING BUT NOT LIMITED TO WARRANTIES OR CONDITIONS OF TITLE, MERCHANTABILITY OR FITNESS FOR A PARTICULAR PURPOSE, TO THE FULLEST EXTENT POSSIBLE UNDER LAW. 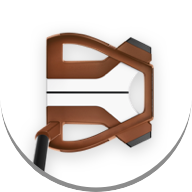 NO VERBAL INFORMATION PROVIDED BY TAYLORMADE SHALL CREATE A WARRANTY. UNDER NO CIRCUMSTANCES SHALL TAYLORMADE BE LIABLE FOR ANY DIRECT, INDIRECT, INCIDENTAL, SPECIAL OR CONSEQUENTIAL DAMAGES THAT RESULT FROM YOUR USE OF OR INABILITY TO USE THE TAYLORMADE WEBSITES, INCLUDING BUT NOT LIMITED TO RELIANCE BY YOU ON ANY INFORMATION OBTAINED FROM THE TAYLORMADE WEBSITES THAT RESULTS IN MISTAKES, OMISSIONS, INTERRUPTIONS, DELETION OR CORRUPTION OF FILES, VIRUSES, DELAYS IN OPERATION OR TRANSMISSION, OR ANY FAILURE OF PERFORMANCE. THE FOREGOING LIMITATION OF LIABILITY SHALL APPLY WHETHER IN AN ACTION OF CONTRACT OR OTHER TORTIOUS ACTION, EVEN IF AN AUTHORIZED REPRESENTATIVE OF TAYLORMADE HAS BEEN ADVISED OF OR SHOULD HAVE KNOWLEDGE OF THE POSSIBILITY OF SUCH DAMAGES, HOWEVER, THE FOREGOING SHALL NOT APPLY TO THE EXTENT THAT ANY LIABILITY IS THE RESULT OF OUR OWN NEGLIGENCE. THIS PARAGRAPH SHALL APPLY TO ALL CONTENT, MERCHANDISE AND SERVICES AVAILABLE THROUGH THE WEBSITE. Information on this site includes description of products and services that may be available only in Canada. 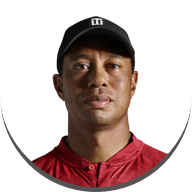 This site is operated in Canada, and TaylorMade makes no representation that the content provided is applicable or appropriate for use in other locations. 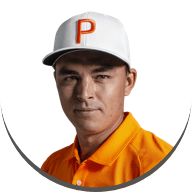 You and TaylorMade agree that, to the extent permitted by law, we will resolve any disputes between us through binding and final arbitration instead of through court proceedings. You and TaylorMade hereby waive any right to a jury trial of any Claim. 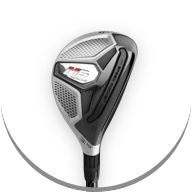 All controversies, claims, counterclaims, or other disputes arising between you and TaylorMade relating to these Terms or the TaylorMade Websites (each a “Claim”) shall be submitted for binding arbitration in accordance with the Arbitration Act, 1991 (Ontario) in Toronto, Ontario. The arbitration will be heard and determined by a single arbitrator. The arbitrator's decision in any such arbitration will be final and binding upon the parties and may be enforced in any court of competent jurisdiction. The parties agree that the arbitration will be kept confidential and that the existence of the proceeding and any element of it (including, without limitation, any pleadings, briefs or other documents submitted or exchanged and any testimony or other oral submissions and awards) will not be disclosed beyond the arbitration proceedings, except as may lawfully be required in judicial proceedings relating to the arbitration or by applicable disclosure rules and regulations of securities regulatory authorities or other governmental agencies. This arbitration agreement does not preclude you or TaylorMade from seeking action by federal, provincial, or local government agencies. You and TaylorMade also have the right to bring qualifying claims in small claims court. In addition, you and TaylorMade retain the right to apply to any court of competent jurisdiction for provisional relief, including pre-arbitral attachments or preliminary injunctions, and any such request shall not be deemed incompatible with these Terms, nor a waiver of the right to have disputes submitted to arbitration as provided in these Terms. THIS SECTION LIMITS CERTAIN RIGHTS, INCLUDING THE RIGHT TO MAINTAIN A COURT ACTION, THE RIGHT TO A JURY TRIAL, THE RIGHT TO PARTICIPATE IN ANY FORM OF CLASS OR REPRESENTATIVE CLAIM, THE RIGHT TO ENGAGE IN DISCOVERY EXCEPT AS PROVIDED IN the APPLICABLE ARBITRATION RULES, AND THE RIGHT TO CERTAIN REMEDIES AND FORMS OF RELIEF. OTHER RIGHTS THAT YOU OR TAYLORMADE WOULD HAVE IN COURT ALSO MAY NOT BE AVAILABLE IN ARBITRATION. These Terms are governed and interpreted pursuant to the laws of the Province of Ontario and the laws of Canada applicable therein, without reference to its provisions concerning conflicts of law. Without limiting the arbitration agreement set forth above, you agree that any action of whatever nature arising from or relating to these Terms or the TaylorMade Websites will be filed only in a court of competent jurisdiction located in Toronto, Ontario. You consent and submit to the personal jurisdiction of such courts for the purposes of any such action. If you wish to opt-out of our use and/or disclosure of your personal information, other than to process any purchase orders and communicate with you about your account, you will generally have the option to do so when you first submit your personal information via the TaylorMade Websites. Simply indicate your desire to opt-out by checking or un-checking the appropriate box. If you wish to amend or delete any personal information you have previously provided without opting out, please send us a message at privacy@tmag.com. We will endeavor to provide a simple way to review, correct, update or remove personal information you have given us. If you wish to stop receiving a TaylorMade newsletter that you have previously subscribed for or any other marketing communications, please follow the "unsubscribe" instructions contained at the bottom of each newsletter or email. If you have not "opted-out" of our use and disclosure of your personal information, TaylorMade may also use personal information for all marketing and survey purposes on behalf of itself and its affiliates and subsidiaries. TaylorMade may appoint third party agents in connection with such marketing and survey efforts. TaylorMade may disclose personal information to select business partners for use in connection with direct mail marketing efforts, including, without limitation, with select third party retailers when the email is collected via a TaylorMade mobile fitting application at participating fitting locations and with TaylorMade subsidiary companies. 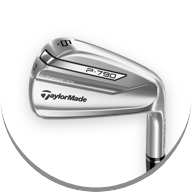 From time to time TaylorMade might establish a business relationship with other persons or entities whom it believes are trustworthy and whom it has asked to confirm that their privacy policies are consistent with TaylorMade’s. These are known as TaylorMade’s “Select Partners.” In such cases TaylorMade might rent, exchange, share and/or cross-reference information, including personal information about you, that will enable such persons or entities to contact you regarding products and services that may be of interest to you. You may opt-out of data sharing with Select Partners as described in the “Personal Information Maintenance & Opt-Out” Section above. 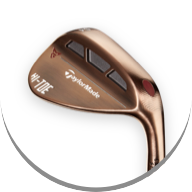 If you have "opted-out", TaylorMade will use or disclose your personal information only as stated above, or: (1) when legally ordered to do so by a lawful subpoena or court order, (2) if you violate or breach an agreement with TaylorMade, (3) if we believe you will harm the property or rights of TaylorMade or those of TaylorMade's other customers, (4) under exigent circumstances to protect the physical safety of TaylorMade, its employees, users or the general public, or (5) to validate credit card numbers for charging for fee services. TaylorMade may share aggregate statistical information with business partners, sponsors or other third parties. For example, we may tell an advertiser that X number of visitors visited a certain area on a website, or that Y number of men and Z number of women filled out registration forms. TaylorMade does not send unsolicited bulk emails to anyone who has requested that we do not contact them. We send our newsletters only to those who have subscribed to receive them. If you have inadvertently received one of our newsletters or other marketing communication, or if you simply wish to stop receiving them, please follow the "unsubscribe" instructions contained in each newsletter or send a request to be unsubscribed to privacy@tmag.com. TaylorMade offers various text message programs from time to time. 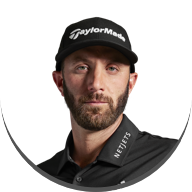 If you have consented to receive text messages from TaylorMade, you can opt-out of receiving future text messages at any time. Please see the terms and conditions applicable to your specific text message program to learn more, including how to opt-out of receiving future text messages. Message & Data Rates May Apply. For customer service, please contact us at 1.866.530.8624 between 6 AM and 5 PM, Monday thru Friday. The TaylorMade Websites and certain emails sent to opt-in consumers contain electronic images (called "pixels", "transparent GIF files", or "web beacons") that allow us and our advertising partners to view and access cookies. In general, any electronic image viewed as part of a web page, including an ad banner, can act as a web beacon. Web beacons are small in order not to use valuable space on the computer screen that is better used to display helpful content. In some cases these files are provided by our online management partner. These files enable our online management partner to recognize a unique cookie on your web browser, which in turn enables us to learn which advertisements bring users to the TaylorMade Websites. The cookie was placed by us or by another advertiser that works with our online management partner. We may also include web beacons in HTML-formatted newsletters and other emails containing graphics that we send, so we may count the number of newsletters and emails that have been opened and read. We maintain our servers in locked facilities with secure access. Backup tapes are retrieved daily and stored by an independent company in a secure, off-site location. Unfortunately, no data transmission over the Internet or any wireless network can be guaranteed to be 100% secure. As a result, while we strive to protect your personal information, we cannot ensure or warrant the security of any information you transmit, and you do so at your own risk. You can report network abuse and any risk of security violations to us by emailing privacy@tmag.com. 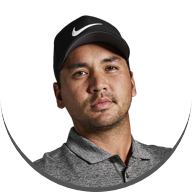 TaylorMade does not knowingly collect contact or personal information from children under 13. The TaylorMade Websites are not intended to solicit information of any kind from children under 13. If we become aware that we have inadvertently received personal information from a child under the age of 13, we will delete such information from our records. If you want to notify us of our receipt of information by children under 13, please do so by emailing us at privacy@tmag.com. If you choose to provide TaylorMade with your information, you consent to the transfer and storage of that information on our servers located in the United States.